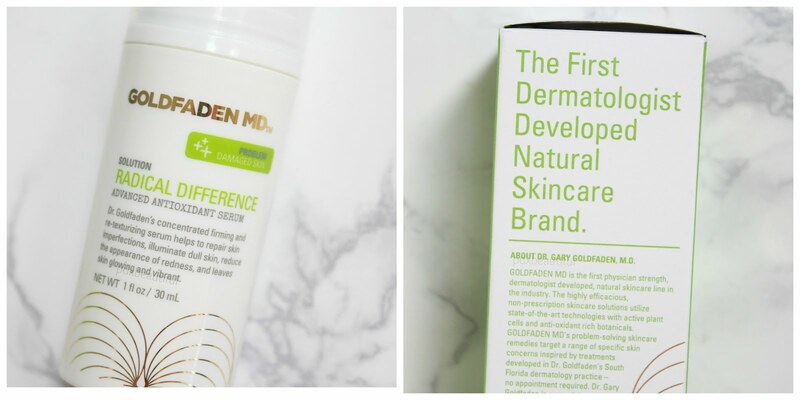 I am really excited to be reviewing two products from the brand Goldfaden MD that I have been testing out for the past few weeks. Although I primarily focus on Asian beauty, if you follow me on Instagram you will know that I have been slowing shifting toward more natural and/or organic products or products that contain clean but effective ingredients. After researching the brand, I was very excited when Goldfaden MD approached me to see if I wanted to test out two of their products. 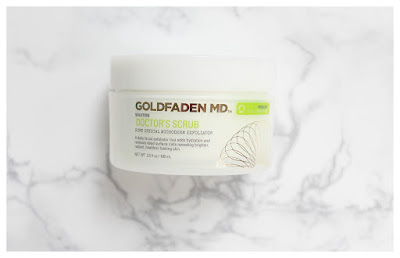 Goldfaden MD is a very popular brand that has been featured in magazines such as Elle, Natural Health, Woman's Health, Harper's Bazaar, Cosmopolitan, Vogue and Dr. Oz The Good Life. I love that Gray Goldfaden, the dermatologist and creator of the brand is the first to developed a physician strength natural skincare line in the industry. Goldfaden is non prescription skincare solutions utilizing state of the art technologies that are nature inspired. 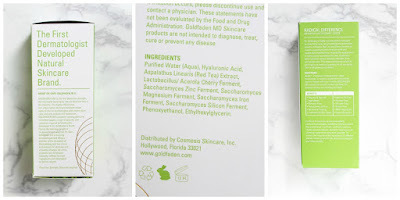 Goldfaden MD feels that many synthetic ingredients found in skin care products are known to cause skin irritation and can actually cause damage to the skin. 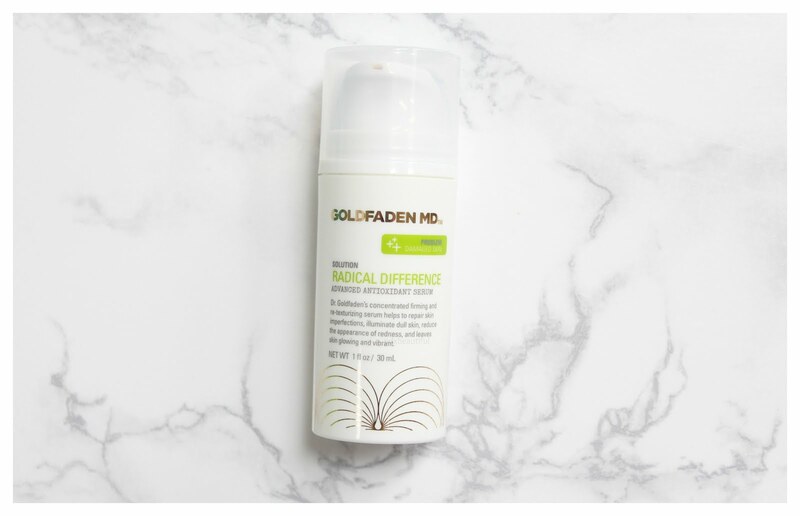 The Goldfaden MD brand products are made without any harsh and synthetic ingredients. The brand is committed to creating only safe but highly effective products that are naturally derived and are results driven. 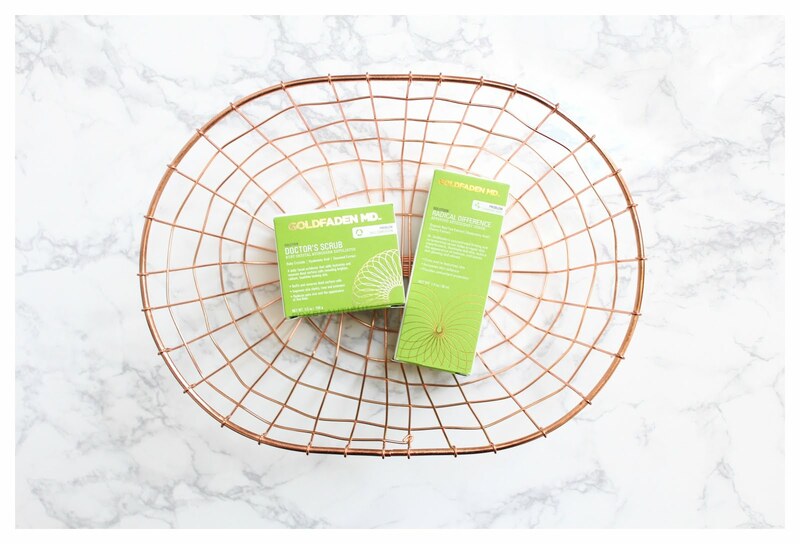 These products are truly inspired by science but contain powerful, natural ingredients. 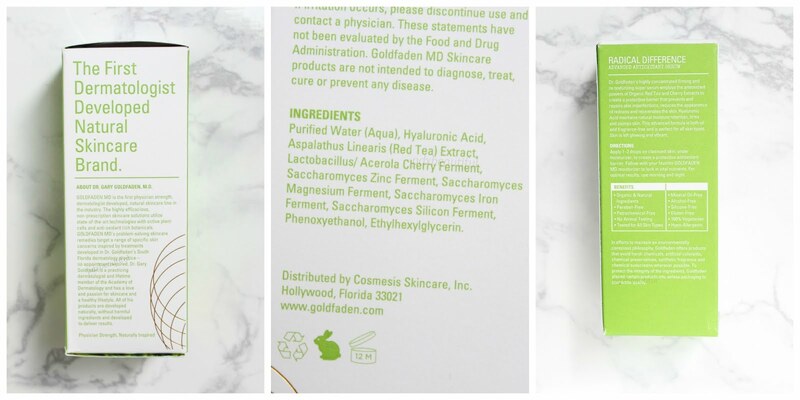 Speaking of, Goldfaden MD products are organic and have naturally based ingredients, are paraben, mineral oil and alcohol free. These do not contain any gluten, silicones and are cruelty free and vegetarian. 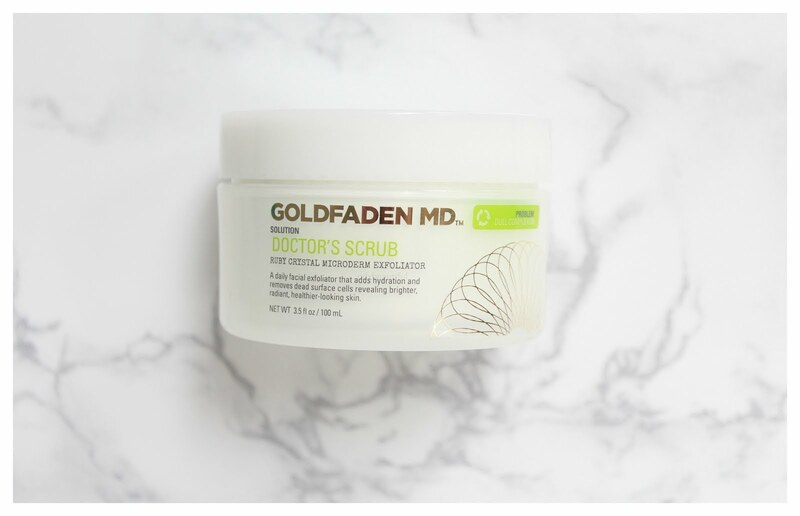 The Goldfaden MD mission is to create environmentally conscious products, avoiding harsh chemicals, artificial colorants, synthetic fragrance and chemical preservatives. To start, my skin type during this time of the year is normal to dry and can also be sensitive. I am usually very acne prone however, with the incorporation of Curology, my skin has been less breakout prone. Because I do use a retinoid, my skin is more inclined to be dehydrated and have occasional redness. My review will reflect how this cleansing oil works for my personal skin type and condition. I want to first review the Radical Difference Advanced Antioxidant Serum. This super serum sounded incredible so I quickly patch tested this so I could start incorporating it immediately into my skin care routine. My skin care concerns are to brighten my complexion and help fade post acne scars so I was super excited to test out this product. This concentrated ﬁrming and re-texturizing serum helps to repair skin imperfections, illuminate dull skin, reduce the appearance of redness and leaves skin glowing and vibrant. This also claims to be gentle enough to use everyday- from website! This serum has the most water like texture that absorbs instantly and feels like you literally put nothing on the skin! For those like me who love to layer a ton of products on my face, this is a perfect serum because it's like you literally put nothing on the skin. It has a completely invisible feeling, a huge plus in my book. This formula is also highly concentrated so you only need two, maybe three drops to cover your entire face. This does have an extremely faint scent that is similar to rooibos tea (for those of you tea drinkers out there like me). Although this claims to be fragrance-free, the high concentration of red tea gives the product a natural, earthy scent. As you can see from the above list, this serum has some amazing ingredients including fermented acerola cherry and potent antioxidant red tea. Cherry extract is a very rich antioxidant that contains high levels of vitamin C, an ingredients known for brightening, fading dark spots, evening the skin tone and texture plus vitamin C helps protect the skin from environmental and free radical damage. Hyaluronic acid is also a main ingredient that helps to hydrate the skin, improve moisture retention and repairs skin damaged. This is an oil-free serum so it's perfect for all skin types. 1 ﬂ oz / 30 ml plastic pump container for $80 USD. I love the simply, packaging that contains beautiful gold accents. I have been using this product for a few weeks and I must say that I am highly impressed! While I haven't seen any difference or a reduction of redness, I have seen an incredible amount of brightening. My skin looks more radiant and even toned. I have also noticed the texture of my skin is smoother and more refined. I believe the game changer as far as ingredients go are the lactobacillus and saccharomyces, both of which have shown in numerous research studies to brighten and improve skin texture. My skin has just been softer and has had a glow. Although I use a ton of different products in my daily skincare routines both am and pm, since incorporating this serum my skin is definitely less dull, soft and smooth. I love how this serum is super light and works well with other skin care products. I have really enjoyed using this serum and although the price is a little steep, I think it is a well formulated product that delivers fantastic results. My skin is just brighter and the texture of my skin is more refined. 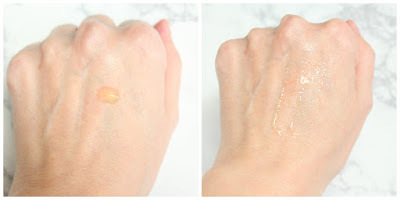 As far as the claim that this serum helps to firm the skin, I haven't noticed any significant amount of firming but this is something that would need long term usage to truly test this claim. Although I haven't felt an increase of firmness, the results I have seen make this product a win and I would highly recommend and would defeinetly repurchase. Next up is a physical exfoliate called Doctor's Scrub. This scrub uses ruby crystals that are quite similar to the same crystals used in a microdermabrasion session. I will admit, I have only used a diamond tip suction microdermabrasion on both myself and clients. After doing more research, I found that the ruby crystals are indeed very similar to those used in a professional microderm treatment. If you follow me on Instagram, you haven't seen any physical scrubs in my skin care routines because it is difficult to use a manual exfoliate that doesn't irritate my sensitive skin. I normally stick to peeling gel as my only physical exfoliate. I was quite nervous to try this scrub but I am glad I gave it a go. A daily facial exfoliator that adds hydration and removes dead surface cells revealing brighter, radiant, healthier-looking skin - from website! This scrub has a very creamy base that contains hyaluronic acid and jojoba oil that offers the skin hydration without the skin feeling stripped or uncomfortable. 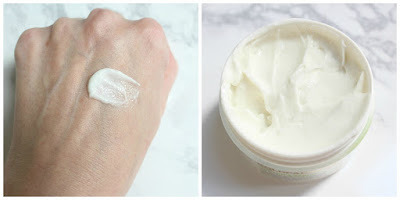 I have found that a lot of physical scrubs leave my skin feeling dry and tight so naturally I was intrigued to see that this scrub claims to hydrate. The ruby crystals are tiny and spherical, giving this scrub a grittiness. As far as scrubs go, I think this formula has the right consistency of creamy base and ruby crystals so you are going to achieve a more even exfoliation. This creamy formula does have a faint sweet, aloe scent that is quite nice but dissipates quickly. This scrub is also very concentrated so a little goes a long way. 3.5 ﬂ oz / 100 ml plastic jar container for $75 USD. Again, love the gold accents and simplistic packaging. When I read that this scrub offers hydration I knew I needed to test this claim. As you can see above, the picture on the left is the left side of my face two hours after cleansing and applying no products. Yes, I was pretty darn dehydrated! The picture on the right was two hours after cleansing, applying no products except using this scrub and rinsing with lukewarm water. While both sides of my face are dehydrated and are seriously lacking a good balance of oil and water, the right side where I used the scrub wasn't much different than the left. This leads me to believe that while the scrub claims to offer the skin "line plumping hydration" my skin didn't see any increase of hydration after use. While the Doctor's Scrub didn't offer any added hydration as it claims to do, I did like this scrub because it is a very effective manual polish that removes dead skin cells and it didn't irritate my skin. When you manually polish the skin with a scrub or peeling gel, you are removing outer most layers of dead skin cells that are just sitting on top of the skin. When you remove these layers, your skin will instantly look brighter, more even toned and pore will appear smaller. In addition, by removing these dead skin cells, your products will work more effectively because they will be able to penetrate into the skin. If you allow these dead layers to build up on the surface, you are wasting your money by applying good skin care products on dead skin cells. While I can understand those who hesitate to use a manual exfoliant, my skin care philosophy is to achieve optimal results, using multiple forms of exfoliation is ideal. For my skin, even though I am on the sensitive side, I find that if I don't incorporate a manual scrub into my skincare routine as least once a week, I find that I actually break out more. Removing those layers of dead skin helps to keep my pores clear so my skin is less likely to get blemishes. Warning: if you have active breakouts, you do not want to use a manual scrub because it can spread bacteria to other parts of the face! I do love the simplistic formula that contains skin loving antioxidant red tea that is packed full of natural vitamin C plus anti-aging seaweed extracts. I also love that this formula contains squalene, a skin soothing antioxidant that helps to balance the skin and improve elasticity. This formula also contains apricot kernel oil which is high in vitamin E and helps soften the skin, helps the skin retain moisture and vitamin E is known for fading hyper-pigmentation. Although this formula is highly concentrated and offers some pretty great ingredients, the price tag is a bit steep. This is definitely a splurge product but worth the extra dough in my opinion. Although the brand claims that this scrub is gentle enough to use everyday, I would not recommend daily use, especially for those like me with sensitive skin. Daily manual exfoliation is over kill and can often cause more damage than good. What is your favorite physical exfoliator? Love your blog btw! I just posted a few posts about my favorite exfoliants on Instagram.